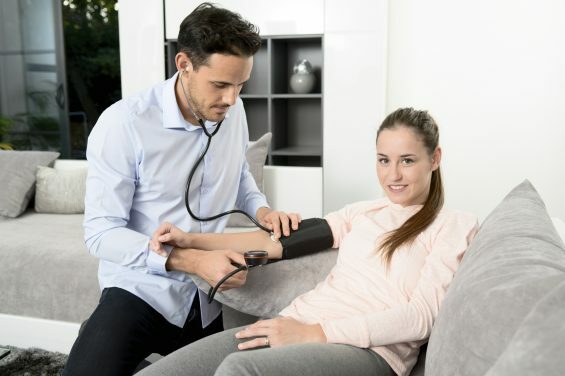 Before booking a home doctor, many people tend to question whether or not they are seeking the correct medical attention. As a home doctor service, we have put together three of the top reasons our doctors are usually called. Potentially the main reason our doctors are called is for sprains, strains, and pains. Examples of usual cases include sporting injuries, work-related injuries, acute sprains and neck, back or hip pain. Feeling as though you cannot walk more than a couple of steps without pain. A common misconception some patients believe is that their injury does not require medical attention is it simply seems minor. However, if you are suffering from an injury, you should seek medical attention, so a doctor can exclude the possibility of serious injury, particularly a case where advanced treatment may be necessary. If necessary, a referral to an emergency department for further assessment. Gastroenteritis, commonly known as gastro, is a highly contagious infection many of our patients seek medical attention for. The reason gastro requires medical attention is because the appropriate treatment needs to be advised, depending on the severity of the cases. In most instances, a home doctor will simply advise for the patient to increase their fluid intake with available methods (such as oral rehydration drinks). If a patient has a severe case of gastro, they may require admission to a hospital for intravenous fluid replacement – meaning the fluid will be administered into the patient’s veins. Though signs of gastro usually last up to two days, it is imperative to seek medical attention. The reason for this is because the main complication for cases of gastro is dehydration, and this can then lead to severe cases if not treated correctly. Hives: Also called urticarial inflammations, is often caused by an allergic reaction. If you are uncertain if you have hives, they tend to be red, itchy welts, can appear in varied sizes or shapes and resemble mosquito bites. School sores: Also called impetigo, is particularly common with children and is very contagious. If you think yourself or a loved one may have school sores, seek medical attention as soon as possible to avoid the infection from spreading.